The Vancouver Lookout is a fun thing to do in Vancouver with kids. I equate it to visiting the Space Needle in Seattle. First, you take a 40 second ride in a glass elevator up to the observation deck, which is more than 500 feet above Vancouver. 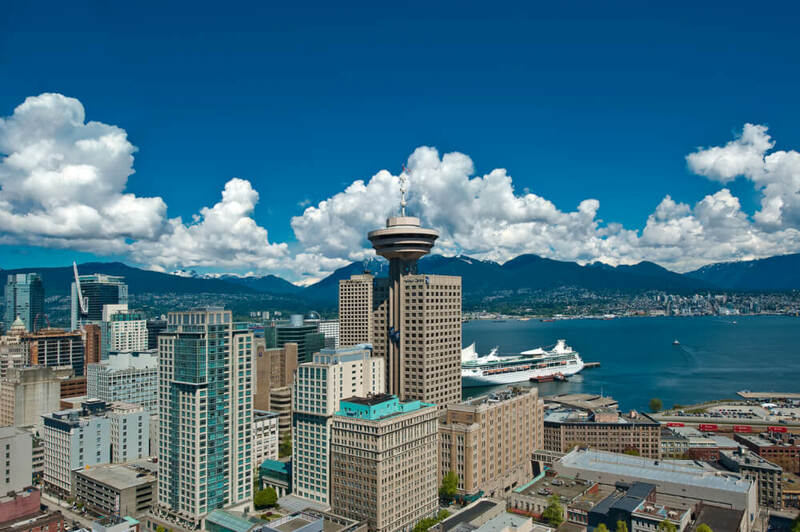 On the observation deck, you get stunning panoramic 360° views of Vancouver. The Vancouver Lookout is located at the Harbour Centre near the waterfront. Harbour Centre is one of Vancouver’s tallest and most iconic landmarks. They have a mix of businesses, retail shops, and tourist attractions in Vancouver’s downtown Heritage District. 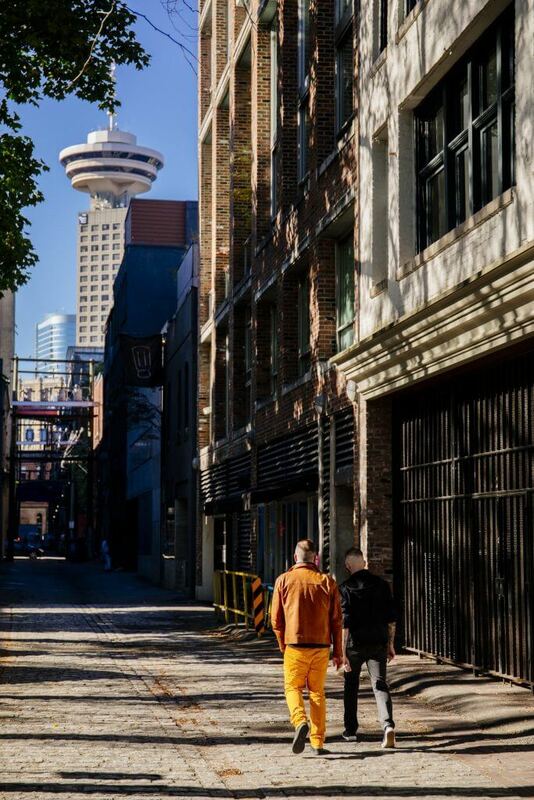 By Foot: Harbour Centre is located in the heart of the Vancouver, a short walk from major hotels, and a few blocks from the Vancouver Convention and Exhibition Centre, the Cruise Ship Terminal, and historic Gastown. Public Transit: Harbour Centre is located across the street from Waterfront Station where you’ll find the SkyTrain (light rail system), Canada Line (connecting YVR Airport to Vancouver and Richmond) and the SeaBus (passenger ferry to North Vancouver). City bus stops are located at the front and rear of the building. Parking: While there is metered parking, there’s also a convenient parking garage located at 450 W. Cordova Street, adjacent to Harbour Center. Once you arrive at Harbour Centre, the Vancouver Lookout ticket desk is located a floor below the main lobby. Since we had a stroller, we had to walk around to find the elevator and figure out the name of the floor below. Keep this in mind when doing Vancouver Lookout with kids. 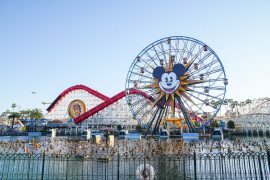 There was no line when we arrived and we were able to get our tickets and hop right on the elevator to head up on a 40 second glass elevator ride up to the panoramic observation deck. You can also get Vancouver Lookout tickets online. Once we got up there, we got to see historic Gastown, Coal Harbour, Stanley Park, the Pacific Ocean, North Shore Mountains, Olympic Peninsula Mountains, boats, seaplanes, trains and cars! The views are absolutely stunning and they offer a complimentary guided tour that would be really interesting. It reminded me a bit of the Space Needle observation deck, but there was even more to see! 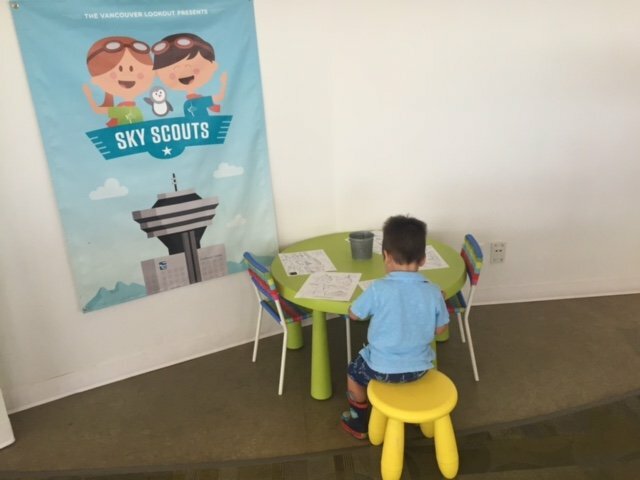 Sky Scouts is a free Vancouver Lookout program designed for children ages 6-12 to learn about Vancouver through exciting and interactive activities. 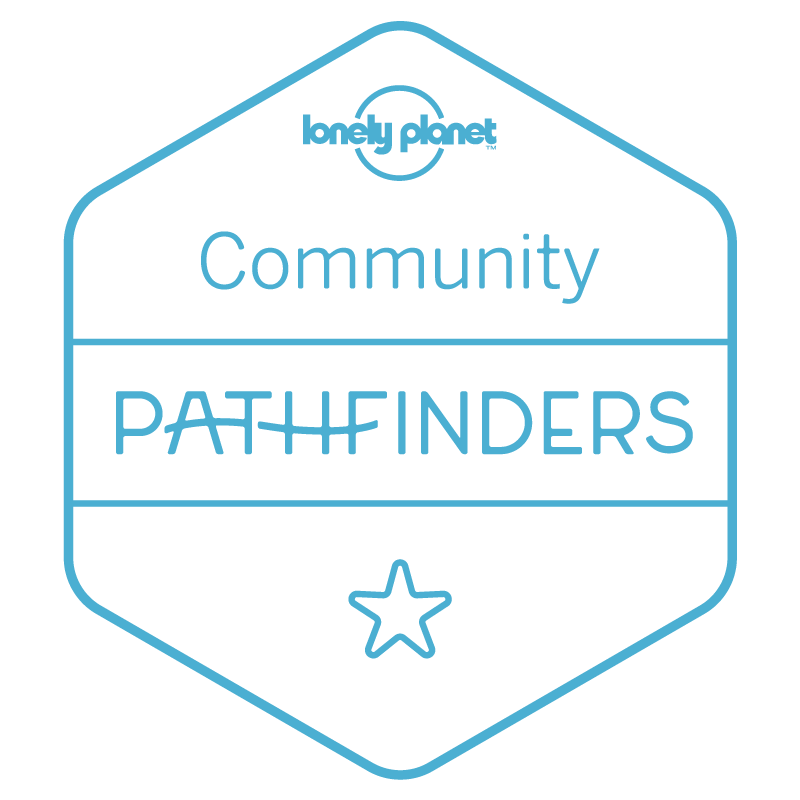 This program is available for groups as well as individuals. The Sky Scout program is offered throughout the year. As part of the program, each child receives a fun activity book filled with puzzles, coloring pages, and games. It was kind of a tricky attraction for small children because they are short. There was only one spot where the observation area was semi-accessible, but smaller kids would still need a step stool to see out on their own. I saw one step stool on the entire observation deck. Even the cool telescopes were too tall for small children. They did have a table and chairs with some coloring sheets that was a hit with my toddler. And they have one of those pressed penny machines that only takes $1 Canadian coins. But, we spent most of the time holding my toddler up so he could count the train cars and spot the seaplanes. 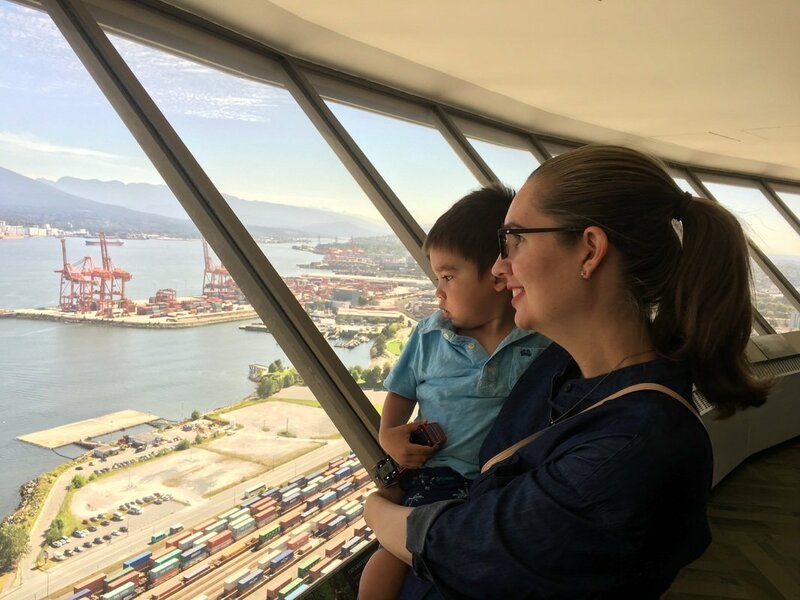 Vancouver Lookout is definitely a must-do for families with kids ages 6 and older. If your family gets hungry at Vancouver Lookout, don’t worry! Harbour Centre has a food court with burgers, pizza, Asian food and more. Plus, there’s a Tim Horton’s and a Starbucks. Our next stop was the Harbour Cruise. We walked back to the hotel to drive over so we could leave directly from the cruise. We got there just in time to pick up our tickets and wait to board the boat. The had a nice undercover waiting area with benches and great views of the boats and harbor. 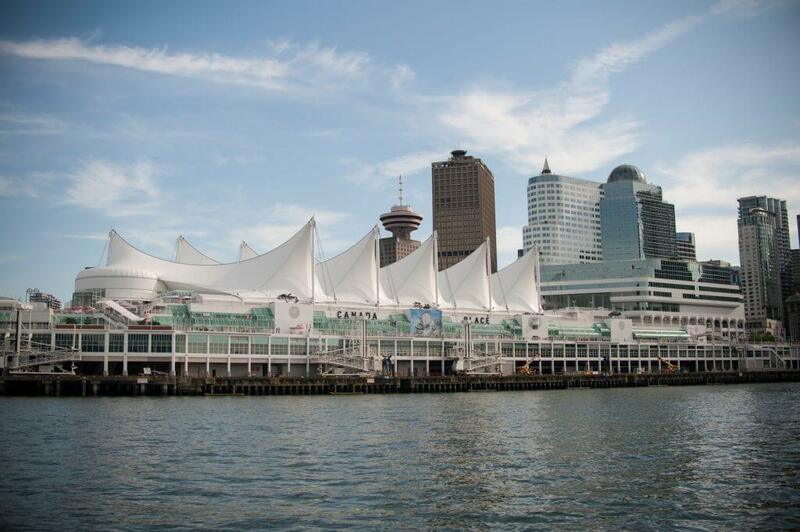 This Vancouver boat cruise is a fully narrated tour of Vancouver’s inner harbour. It lasts 1 hour and you will cruise past Stanley Park, cruise ship terminals, Gastown, North Shore Mountains, and around Burrard Inlet. It’s an amazing way to see the Vancouver city skyline. During the boat cruise in Vancouver, you can order a beverage from their fully licensed bar. There’s plenty of seating inside on on their spacious open-air decks. When our boat was ready, everyone stood up and formed a makeshift line and boarded the boat. We headed straight up to the top deck and grabbed a seat on the right side of the boat, which is the side that features most of the sights. The seats were cushy and comfortable but they get HOT in the sun. I’d recommend putting down a sweater or jacket to sit on, especially if you’re wearing a dress or shorts. The cruise itself was fabulous! The narrator was really funny and the boat ride was smooth. 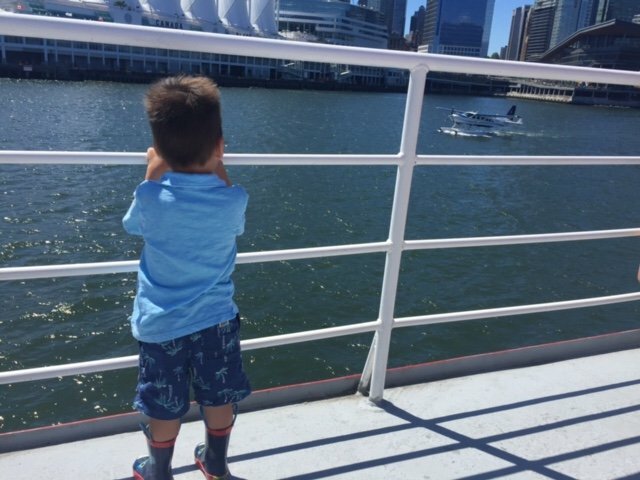 My toddler loved to walk around the open-air decks and count the seaplanes taking off. He was also very intrigued by the big red wheel that was propelling the boat. There are railings around the top deck, but you’ll want to keep a close eye on small children to make sure they don’t climb up them or drop things overboard. Inside they offer a bar where you can buy drinks and snacks. There are also 2 bathrooms on board. This is important to know because they do NOT have bathrooms when you dock. When I asked where the nearest restroom was when we docked, they suggested I go to the Westin or to Starbucks (both several blocks away.) 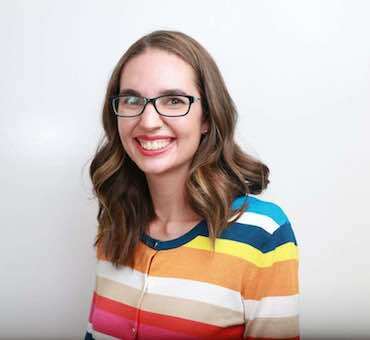 At 7 months pregnant toting a toddler, I knew that wouldn’t be a viable option for me. I ended up driving somewhere else and still find it so strange that a tourist attraction wouldn’t have restrooms. It made me glad that my toddler wasn’t potty trained yet because we would have had to go in the bushes! Overall, the cruise was a blast and I would highly recommend it to anyone traveling with small children or even elderly people. One hour is perfect for short attention spans. Another option is their Indian Arm Luncheon Cruise that’s offered May through September. It’s a 4 hour lunch cruise through Vancouver’s inner harbour, Burrard Inlet, and Indian Arm. You’ll get a catered buffet lunch while you gaze at panoramic scenery, Silver Falls, privately owned islands, wildlife, waterfront homes and more. Sounds like a great way to enjoy lunch and snaps some photos! Harbour Cruises is also the home of Vancouver’s original dinner cruise. 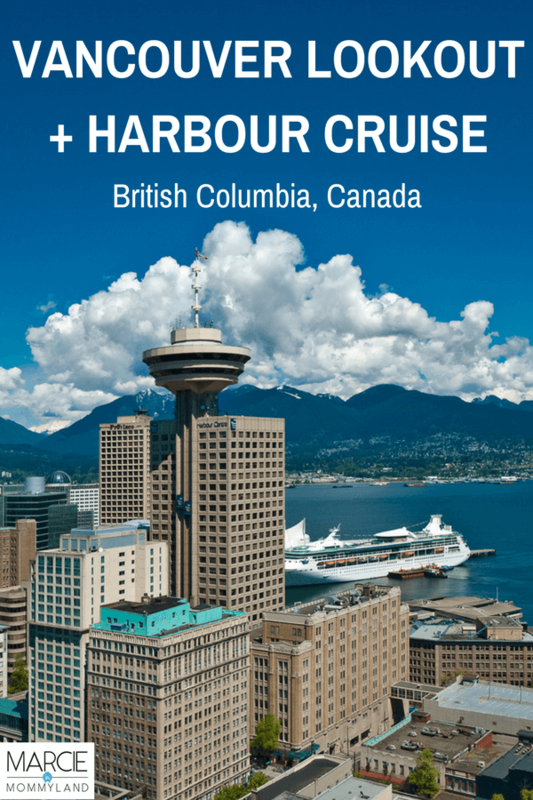 Offered May through September, this 2.5 hour cruise will take you past the Vancouver skyline, Canada Place, North Shore mountains, Stanley Park and more. You can watch the sunset while listening to live music and eating West Coast themed cuisine. Tourism Vancouver provided admission to Vancouver Lookout and the Harbour Cruises for review purposes. I soooo want to go back to Vancouver, I visited once as a kid in the 1980s and I know it’s changed a lot since then. The guide to the Lookout is very helpful, especially the note about finding the lift – we don’t have a kid in a stroller but I have some mobility problems so a lift is helpful. A shame they don’t have more stools or a permanent step to make it easier for small kids to enjoy the view though. For the harbour cruise, very happy to understand the best side to sit on, that kind of tip is invaluable! Yes, it’s changed a lot! It’s still such a great destination! I hope you are able to return someday! Looks like a fun day out. I love sitting at harbours and watching the boats go in and out. I honestly think I could do it all day! I’ve never been to Vancouver so this is one to add to my list. I’m a sucker for watching boats, too! Yes, I love the change of perspective! I can just imagine how great those views are of Vancouver. I’d also like to do the cruise, especially as I have a short attention span too ha! It looks like a great cruise, and overall, a lovely city to visit. Hope I get to see it one day myself. Haha! One hour is perfect to soak in all the views! I think it will be romantic to spend a candlelit dinner here. I could imagine its magical nightime! Vancouver is so pretty at night! I love looking at seas and oceans. Looking at water can be very calming. I also get entertained watching boats sailing. I’m also drawn to the water! Vancouver has an amazing waterfront. Vancouver is so beautiful. I would totally love to visit some day. I hope you are able. It’s worth the trip! What a great way to spend the day on the waterfront. The dinner cruise would be a perfect way to end the day. Dinner, music and watching the sunset sounds lovely. We’re excited to try the dinner cruise next time! That’s so beautiful. Perfect vacation destination. I would love to visit myself. It’s an awesome PNW vacation spot! I love Vancouver but I haven’t done either of these things. I’d like to try the harbor cruise because your photos look so pretty. But the Lookout seems like a great idea too. Even though I don’t have kids, I’m sure I’d still enjoy them. 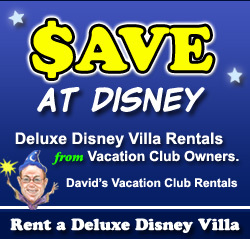 Yes, these are great options for people with or without kids! Vancouver looks like such a fascinating place to visit! I would love to check this off our travel list one day. It’s a really beautiful city with a lot to offer! Such a gorgeous destination! Anywhere with water relaxes me. Since we travel as a family, seeing the options for families like mine is enticing. I also LOVE being near water! 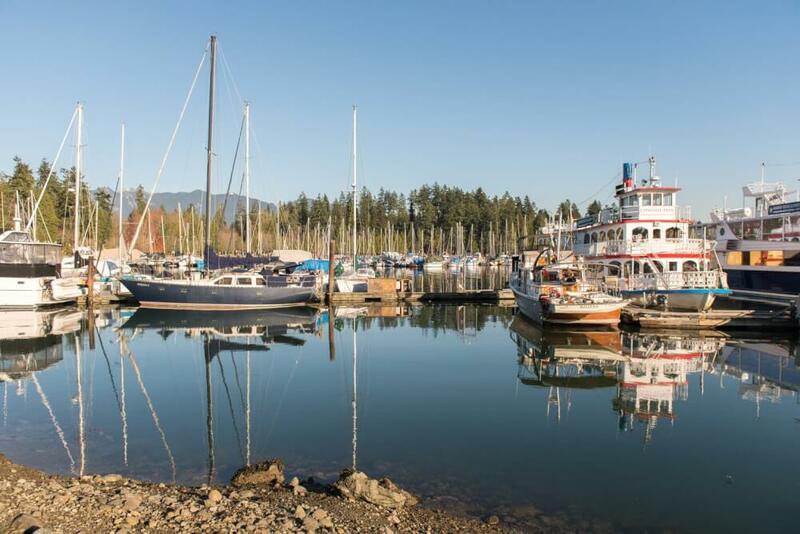 How wonderful to have these options for leisurely enjoying Vancouver on the water.?? Your lil guy looks like he loved it – I especially like the activity for small children and the water views! Oh yes! He loved watching the seaplanes while on the boat! I went to Vancouver about 10 years ago and it was so much fun. I remember there was awesome sushi there. I have not been to Vancouver but I would love to go. The Vancouver Lookout at Harbour Centre and the Harbour Cruise both look like great activities. I don’t have children but I would definitely take them to these children friendly attractions. The view from the lookout looks great and it sweet that they have a kids area to use. These attractions are fun for adults, too! I love being near water wherever I go & this is a great post for me because lately I go nowhere without my niece & nephew. Haha! We used to always travel with nieces and nephews and it’s so fun! I’ve never been to Vancouver, but I want to someday! It looks beautiful! I hope you get to visit! It’s lovely! Vancouver considered as densest and diversified city…so it has something special to feel as a tourist over there, your post gives a glimpse about the beauty of the city. Vancouver is a very special city! I’ve never been to Vancouver! I feel like my family would like it – urban area but close to more nature stuff, and on the water is always great! Yes, it’s a great mix of city and nature! Looks like such a fun trip! We went through before we had our daughter, but would love to come back! Vancouver seems like such a under-rated city. I’ve never been, but I would surely love to go. Thanks for sharing! I’m surprised more people don’t travel there. It’s a large city with so much to offer! OMG their food scene is no joke! I suggest heading to Richmond for authentic Chinese food! I think this is one of the awesome harbour I’ve seen online. There is something beautiful in every harbour especially during night time. Quite romantic! Oh this looks so much fun! My daughter would love the sky scouts program! And those views, just gorgeous! Thanks for the post! You’re welcome! It’s a great city for kids! You went on the perfect day. I love city views from way up high. Amazing shots! Such an exciting cruise. I am sure your toddler enjoyed a lot. I was really surprised at the lack of rest rooms. Vancouver is so beautiful! I absolutely love the harbor and I’m so glad that you suggested it. Next timedm, I hope to try more food while in the area because I’ve heard it’s go die for! Yes! We always head to Richmond and literally stuff ourselves with Chinese food! Isn’t the Sky Scouts awesome! We’re looking forward to going back! Harbor cruises are so fun! My little guy would love that! 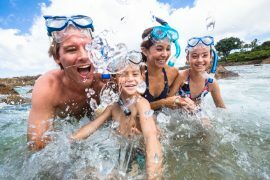 It’s such an easy way to get kids on a boat, without having to do much! You can do so much stuff in Vancouver. I always thought that it a such a beautiful place to go visit. You picture doesn’t even look really it is so beautiful. It has so much natural beauty! Plus the people are so friendly! I can’t wait to visit Vancouver one day. I always take a cruise or ferry whenever I travel so the harbor cruise would be a must for me. Thanks for the tip on the seating! Oh you’d love the harbour cruise, then! Vancouver is definitely worth a stop! So is Seattle and Portland, when you head out here! I have never been here!! It is on my bucket list and I think I would enjoy this as much as the kids do!! Oh for sure! It’s so pretty! I’ve never visited here before! Looks so amazing!! Definitely a place I need to vacate at! Vancouver is such a fun city to explore! They really have something for everyone!